Horse Scout has been designed and developed by professional equestrians who know the importance of bloodlines. But what benefit do you get from spending just a few minutes listing the parentage of your horse on its profile? Horse Scout has intelligent functionality which automatically links and connects horses with similar bloodlines — it instantly recognises and matches progeny and siblings and enables horse profiles to connect with other related horses. You just enter your horse’s name and parentage and Horse Scout does the rest. Horse Scout’s system enables people to easily research horses’ parentage and see the progress of similarly bred horses. 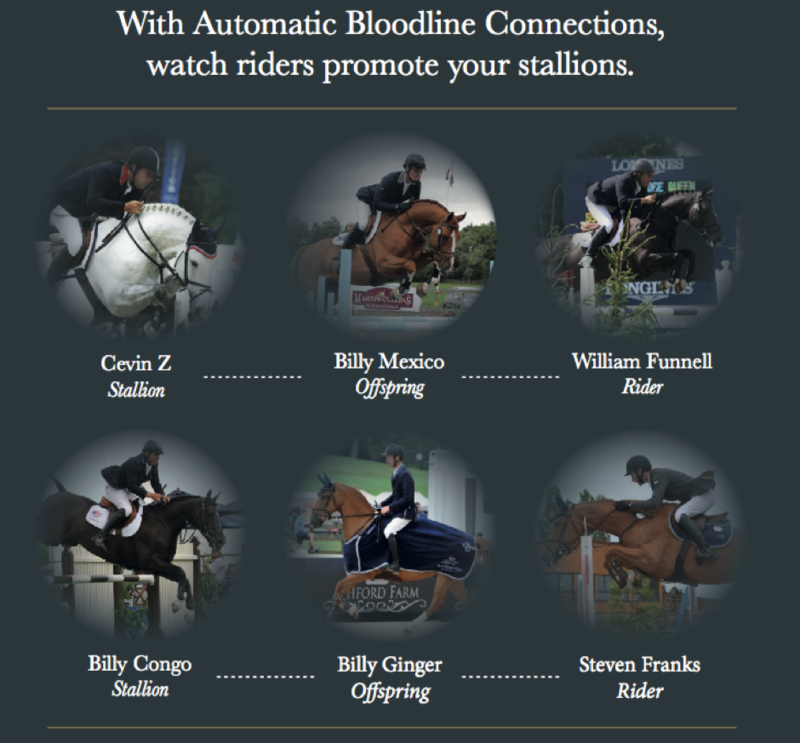 The bloodline function acts as a PR machine for stallion owners! Riders connect to the stallions and evidence the competition successes they have experienced with his bloodlines. At Horse Scout we aim to promote and reward ‘responsible’ breeding — please help us by spending a few minutes updating your horse’s parentage profile now. With over 50% of horses registered on Horse Scout not listed as being for sale, there’s no reason to not create your profile. Build your horses profile today and start finding your bloodline connections. Build your horse profile now or update and enhance your existing profile by listing the parentage of your horse!